Walt Hansgen was working at the family F.G. Hansgen body repair shop in Westfield, New Jersey when he was bitten by the racing bug aged 32. In 1951 he managed to scrimp, save and borrow enough to buy a brand new Jaguar XK120 but despite ever improving results soon found it was not fast enough to keep pace with the competition and the new C-type Jaguar first seen in September 1952 in particular. 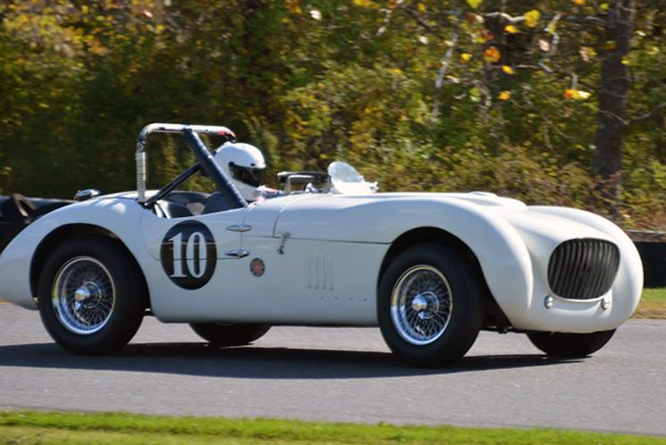 After racing in borrowed vehicles most of the way through 1952 Walt and Emil Hoffman built the chrome molly steel frame for today’s featured Hansgen Jaguar Special and transferred the running gear from his XK120 to save around 700 lbs in weight. Walt is known to have raced the car on at least 9 occasions through 1953 winning the SCCA Regional Cumberland Cup third time out and culminated by winning the 6th Annual Grand Prix of Watkins Glen. Walt sold the car to Paul Timmins for the 1954 season and continued racing with a C-Type he bought from Marsten Gregory until he was eventually picked up by Briggs Cunningham to race as a professional. Paul scored at least four second place finishes from at least eight known starts in the Hansgen Special. Today the Hansgen Special is owned by Bob Millstein who bought her in 1983 and set about a six year restoration which was rewarded with a Jaguar Club of North America’s National Concours Champion award in 1989. 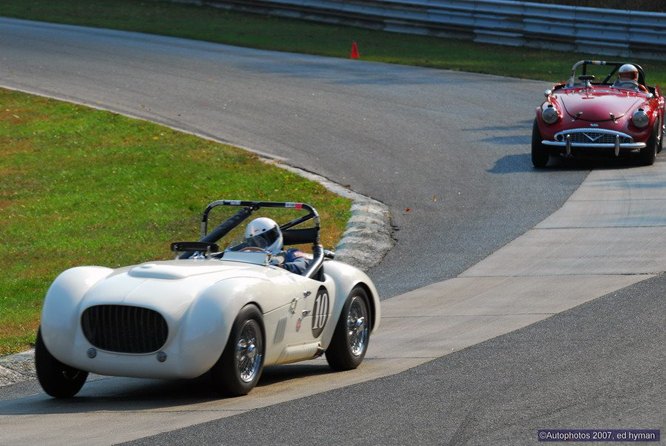 Since then Bob has continued to race the Hansgen Special which is seen in these photographs at Lime Rock. Ryan ‘Racer 187’ Smith, seen in the Daimler in the top photo, tells me the Hansgen Special is up for sale. 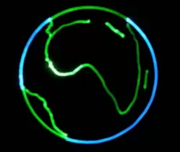 If you would like to know more about this piece of Hansgen History, I will gladly put you in contact with the vendor, usual disclaimers apply. My thanks to Ryan Smith for arranging permission for me to use the first photo by Ed Hyman and the second by Richard Rowley. Thanks for joining me on this “Hansgen History For Sale” edition of “Gettin a li’l psycho on tyres” I hope you will join me again tomorrow when I shall be looking at an unusual Japanese Formula One Car. Don’t forget to come back now ! This entry was posted in Uncategorized and tagged Colmar, Cunningham, Gregory, Hansgen, Hoffman, Hyman, Jaguar, Lime Rock, Millstein, New Jersey, Psychoontyres, Racer 187, Ralph, Rowley, Smith, Special, Timmins, Westfield on November 1, 2014 by Ralph. The last in this series of Americana Thursday blogs celebrating the 60th Anniversary of the Chevrolet Corvettes features the last of the 12 customer Corvette racer built by John Greenwood as seen in these photo’s taken by Geoffrey Horton at the recent Rolex Reunion meeting run at Mazda Raceway, Laguna Seca. Chassis #12 appears to have been built for Albert DeLeo from a Greenwood stock 1976 chassis for the 1982 season when Albert ran the car just once in the Lime Rock 1 hour Coca Cola 400 race for which he qualified 18th and was classified as a non runner in 24th place. 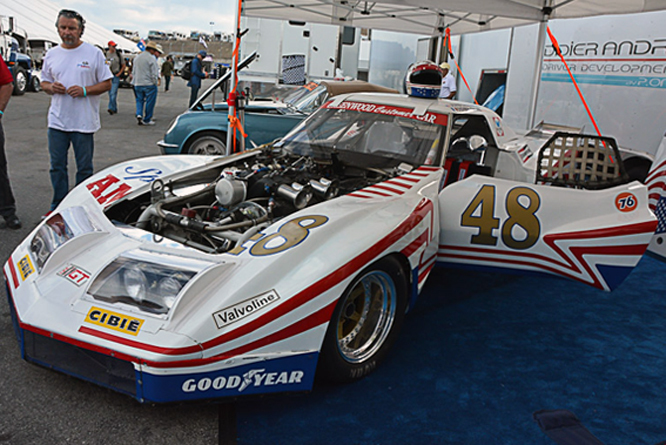 Changes in the IMSA GTO regulations which favoured tube frame chassis over full frame cars meant the car was never raced again in period. 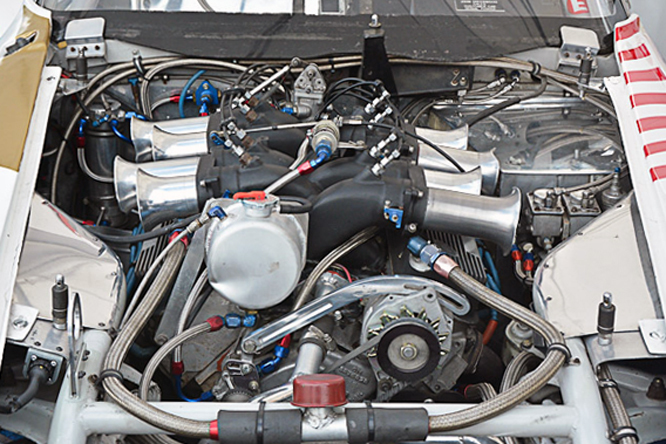 The all aluminium 7.8 litre / 478 cui motor was fitted with Kinsler fuel injection and produced around 730 hp with a red line at 6,400 ear busting rpm. The car known as a wide body has coil over rear suspension to help transmit the fearsome horsepower through the 15″ wide rear tyres to the road. The front wheels are 12″ wide 15″ diameter made as are the rears by Jongbloed. 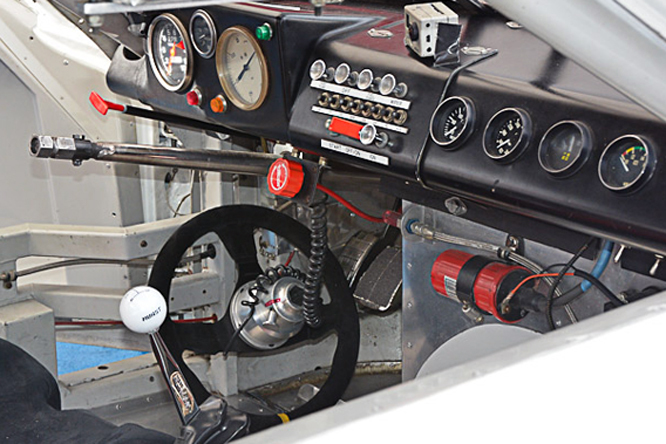 Lance Smith found the pristine car at Albert’s in 1989 and since then it has undergone minor restoration. French sports, GT and former Galles IRL driver Didier André car bought chassis #12 through Bonhams last year. 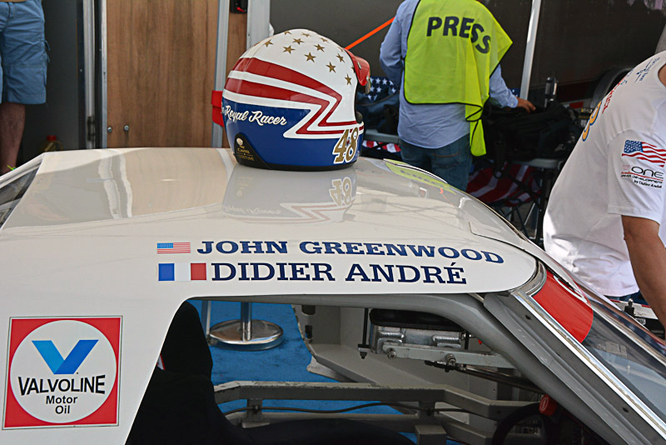 It appears that Didier plans to bring the car up to the same specification as Greenwoods famous Spirit of ’76 #007 specification so that it can take part in historic event’s in Europe. My thanks to Geoffrey Horton for sharing today’s photograph’s. Thanks for joining me on this ‘Greenwoods Last Customer C3′ edition of “Gettin’ a li’l psycho on tyres I hope you will join me again tomorrow. Don’t forget to come back now. 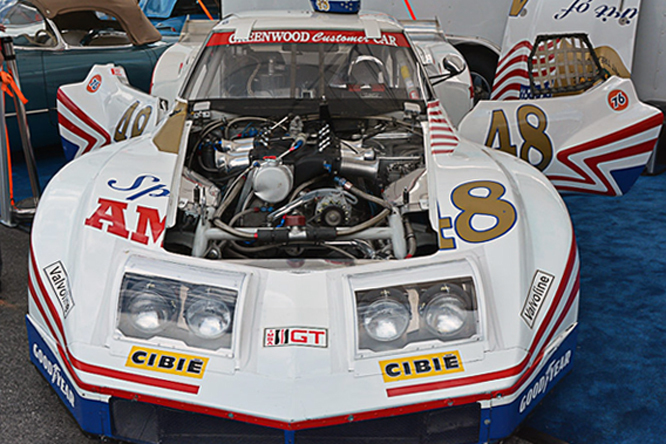 This entry was posted in Uncategorized and tagged André, Bonhams, C3, Chevrolet, Colmar, Corvette, DeLeo, GALPOT, Geoffrey, Greenwood, Horton, IMSA GTO, Jongbloed, Kinsler, Laguna Seca, Lime Rock, Mazda Raceway, Racing Car, Ralph, Rolex Reunion, Smith on September 26, 2013 by Ralph.